With the national Women’s March organization embroiled in controversy and its leadership seemingly lethargic following the midterm elections, this year’s women’s marches were significantly smaller than the past two years. Still, hundreds of thousands came out across the country – in some cases braving rain, snowstorms, or temperatures below zero to protest against Trump’s right-wing offensive and to continue building a women’s movement. In Seattle, Socialist Alternative Councilmember Kshama Sawant spoke at the march for Missing and Murdered Indigenous Women. She highlighted the epidemic of violence that indigenous women face under capitalism, and that Seattle – a supposedly liberal city – ranks worst in the nation for violence against native women. A major contributing factor is the lack of affordable housing in the city, as indigenous people and women in general are too often forced to choose between violent domestic relationships and violence on the streets. Those who came out to marches were outraged at the dangerous racism embodied by Trump’s border wall, the Supreme Court appointment of sexual predator Brett Kavanaugh, attacks on reproductive rights, and the government shutdown, which has left hundreds of thousands of federal workers without pay for weeks. Across the country, there was an openness to the ideas and demands of socialist feminism, and an energy to build the women’s movement by linking it with the struggles for affordable housing, free health care, universal childcare, and a living wage. In some cities, including Philadelphia, New York, and Seattle, splits in the Women’s March organizations resulted in multiple demonstrations, which was frustrating and confusing to the many young women looking to build a unified movement. The official Women’s March organizations cancelled protests in other cities, such as Chicago, Portland, and Cincinnati, generally citing a lack of resources. The Women’s March Chicago, for instance, shamefully cancelled the march this year claiming that their resources had been exhausted building the “Blue Wave” with a “March to the Polls” in October. In effect, this cancellation could serve to demobilize the growing women’s movement. But now is not the time to let up. 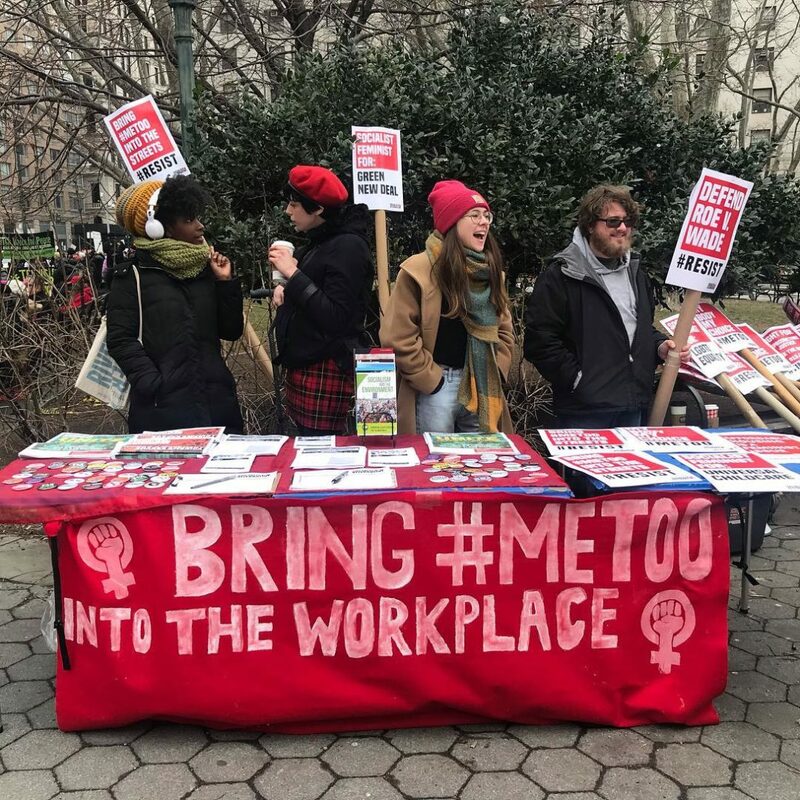 As Socialist Alternative members from Pittsburgh reported: “Younger demonstrators, service workers, and women of color were especially responsive to the idea that collective resistance was necessary, beyond voting – the main theme of the local Women’s March for the past three years.” New organizations stepped in to fill the void in some cities, with Socialist Alternative playing a leading role in the organization of women’s marches and speakouts in Portland, Cincinnati, and Grand Rapids. Socialist Alternative members in Chicago found that “many agreed that a new leadership was needed to continue to build the women’s movement.” As International Women’s Day approaches, it’s time to build a fighting movement that unites the struggles of women – explicitly including women of color and trans women – with the broader struggles of the working class in mass actions aimed at winning a better standard of living for all working people. Next articleEyewitness Account from Bengaluru of India’s General Strike!